How to Remove Hairspray from Walls - Lose the spots, keep the paint. 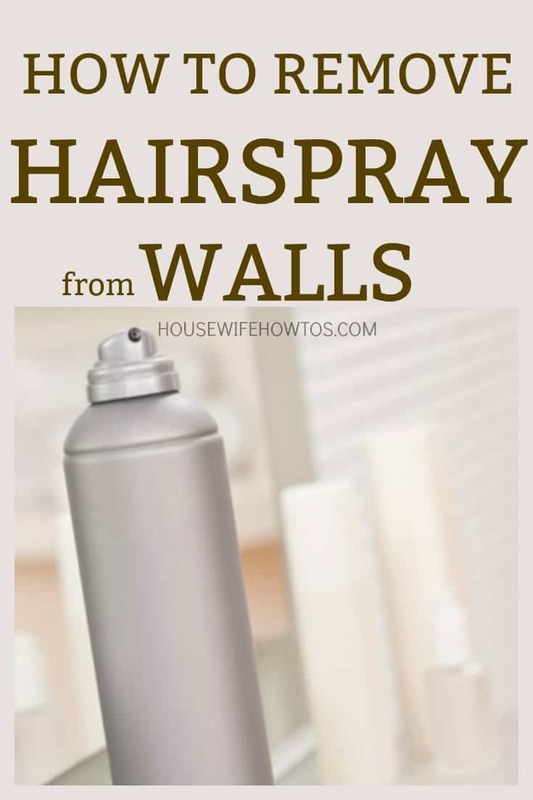 If you use hairspray, then you’ve probably found yourself wondering how to remove hairspray from walls. Even when you’re careful using it, the stuff gets all over the place! 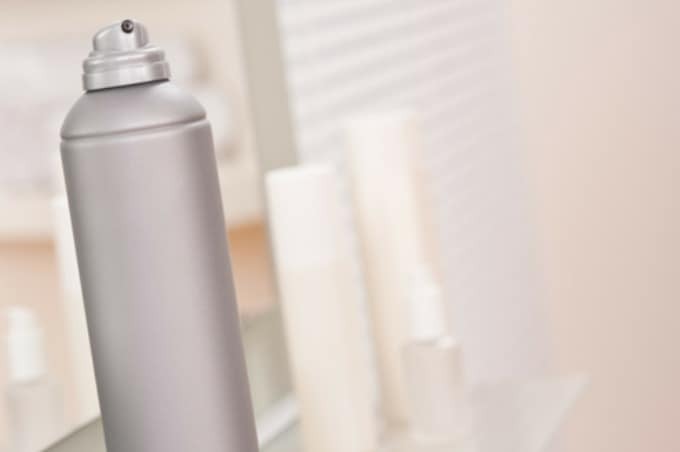 Taking the time to remove hairspray carefully will improve your bathroom’s appearance, and is a necessary step before repainting if you want your new paint job to last. NOTE: Be sure to spot test your wall in an inconspicuous place first to make sure your paint or wallpaper is colorfast. Behind a door is an excellent place to test. Use shampoo: Think about it: washing your hair removes hairspray, so why not try the same route to remove hairspray from walls? For this, you want to go with a cheap shampoo — nothing moisturizing or color-safe — since they’re usually loaded with detergents. Use steam: A steam cleaning tool for hard surfaces does a brilliant job of dissolving hairspray droplets. Follow it with a damp microfiber cloth to remove any residue. Not only does this remove hairspray from walls, but it’s also helpful tackling other types of buildup on surfaces, too. Use fabric softener: In a spray bottle combine 1 part fabric softener and 2 parts warm water. Lightly mist the walls then wipe from bottom to top with a damp microfiber cloth. Follow with a clean, wet cloth to remove the fabric softener residue, too. Use baking soda: Many people swear by a paste of baking soda and water, lightly applied to the wall then wiped away using a microfiber cloth dipped in hot water. Given the abrasiveness of baking soda, it’s vital that you conduct a spot test before trying this. Use a Magic Eraser: These things are great for cleaning all sorts of things, and hairspray buildup on walls is one of them. Just wet the Magic Eraser in warm water and lightly wipe the spots away. Finish by wiping the surface with a clean, damp cloth. Like baking soda, though, these are abrasive so be sure to spot test first. Use rubbing alcohol: Combine equal parts rubbing alcohol and warm water in a bottle and spray it on the wall. Since hairspray is made mainly of rubbing alcohol, the principle of solubility says like dissolves like. As far as preventing hairspray from getting all over the walls in the first place? Good luck with that. I’ve tried everything I can think of, personally, and the only thing that worked was to step into my shower stall before spraying my hair. The visual of using hair spray in a shower stall gave me a giggle!